CreatureCantina.com: Lots of offerings to be had at Star Wars Celebration! 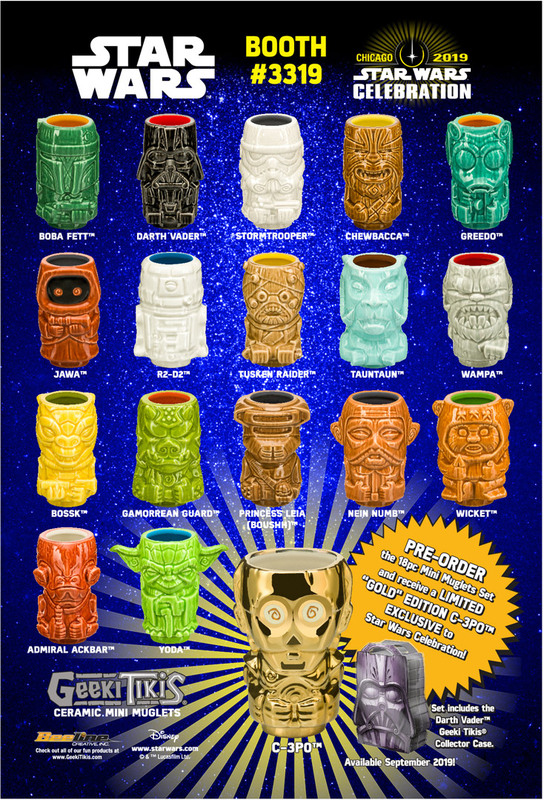 They’re also introducing an 18-piece mini-muglet set which contains: Boba Fett, Darth Vader, Stormtrooper, Chewbacca, Greedo, Jawa, R2-D2, Tusken Raider, Tauntaun, Wampa, Bossk, Gamorrean Guard, Boushh, Nein Nunb, Wicket, Admiral Ackbar, and Yoda. 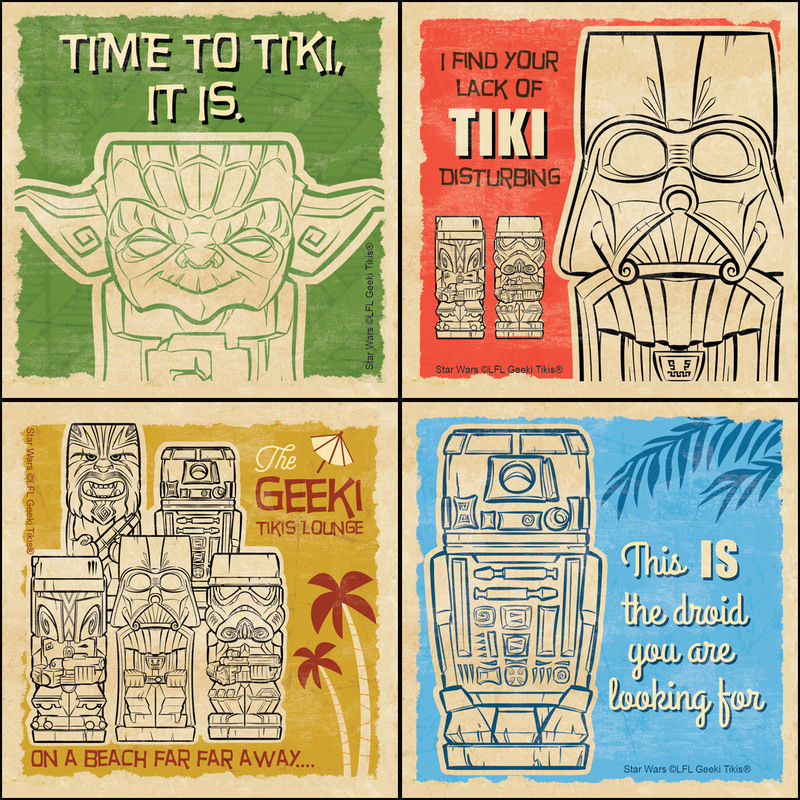 This set comes in a Darth Vader Geeki Tikis collector case, and if you pre-order this set, you’ll also receive a limited edition "gold" edition-3PO exclusive to SWC. Pre-Order includes Star Wars Celebration C-3PO Electro-Chrome Plated "Special GOLD Edition." Of course, with all this drinkware, you’ll need a place to set your beverages, so G.T. is releasing a set of 4 coasters featuring: 1 has Yoda, another has Vader, a Stormtrooper, and Boba Fett, a third has R2-D2, and the fourth features Chewbacca, R2, Boba Fett, Vader, and a Stormtrooper. FIRST TO MARKET + Chewbacca EXCLUSIVE! 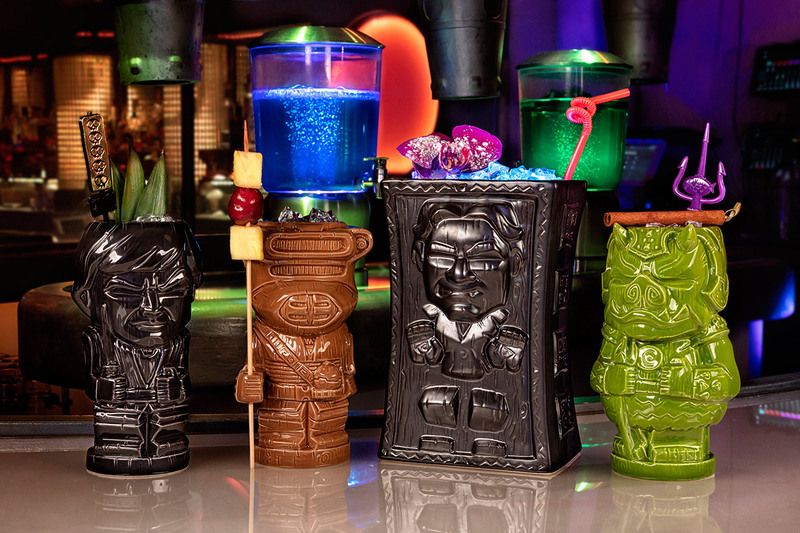 There will also be a set of tumblers featuring Darth Vader, Boba Fett, a Stormtrooper, and Chewbacca. FIRST TO MARKET - SHOW SPECIAL! Product Description: Ceramic Mug Set. Includes: 9" Tall MEGA MUG (holds 45oz.) + Bonus Luke Skywalker Mini Muglet. Jedi Luke sits in the Rancor’s hand! 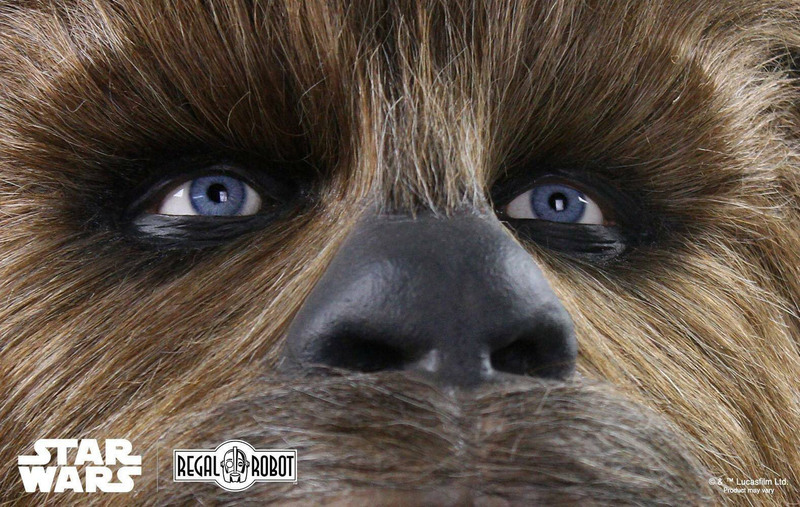 While we’re at it, make sure you stop by the "Regal Robot" booth (# 3419) and see what new treasures they have to offer. 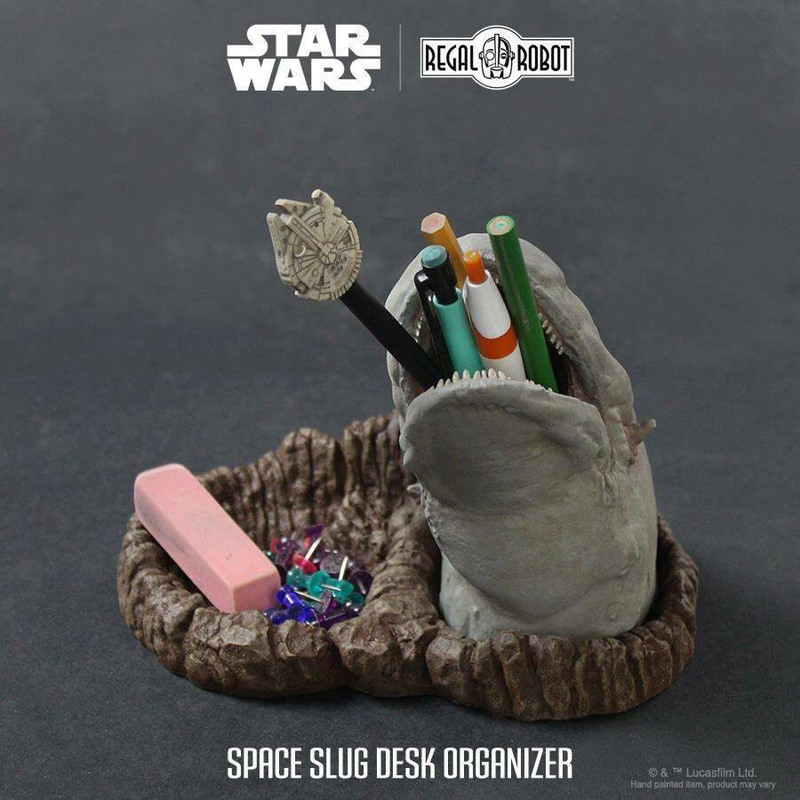 A few of the "MUST-HAVES" include: a Space Slug Desk Organizer, a tauntaun maquette replica, the SWC exclusive Jabba’s dais Gargoyle magnet, & the life-sized Chewbacca Bust. While you’re there, be sure to talk to them about how "RR" can bring the stuff you love into your life with their custom character creations. Personally I’d like a custom bust of Daisy Ridley’s bust, but I think that would make my bank account go bust! Hope to see many of you at SWC, and in the meantime...May the Force be with you...always!